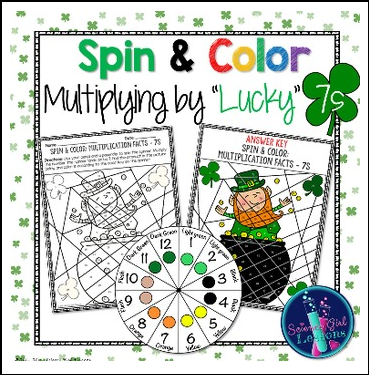 Put a fun twist on learning multiplication facts with this spin & color activity! Use it as an enjoyable way to practice multiplying numbers by 7! It’s a great way for students to practice learning their multiplication facts. Students will use a color-coded spinner to match each multiplication fact to its product. They will locate each product, and color it according to the key. This can be played individually, with teams, or used in a small group!